Plagued with news reports on over-tourism, unhappy locals and selfie sticks, it’s easy to wonder if Venice has been loved to death. To find out, we sent journalist and travel writer Mary Novakovich to meet local guides and discover a quieter side to this most visited of cities. Special thanks to Slow Venice and Row Venice for their help organising her trip. Mary, during her 30-year career as a journalist, has trekked through Costa Rica’s rainforests (she got very wet), learnt how to snowboard (badly) and managed to drive a vintage Ferrari without crashing it. 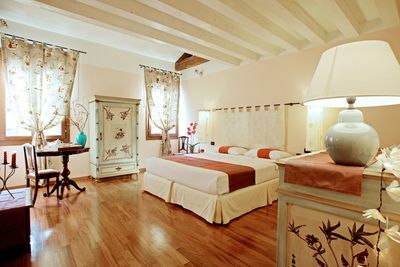 She loves and specialises in France and Italy. It’s late afternoon and rush hour in Venice. The Grand Canal is a carnival of boats. Private water taxis bounce along the water, passing lumbering waterbuses called vaporetti. Graceful gondolas squeeze through any gaps that remain, vying for space with boats brimming with everything from building supplies to crates of food. Surrounded by the incomparable beauty of Renaissance palaces it’s an undeniably captivating spectacle, but I came in search of a different Venice. And so, in the quiet backstreets of the district of Cannaregio, I find a highly polished wooden boat, known as a voga, and its skipper, Nan McElroy waiting for me. 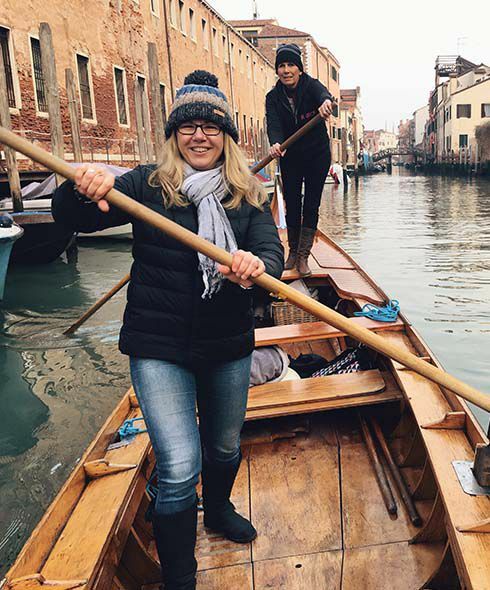 Nan is one of Row Venice’s 16 women who teach the vanishing art of voga alla veneta, a traditional Venetian style of rowing in these sleek wooden craft that are shorter and easier to manoeuvre than the gondola. Before I can get too comfortable in my seat, Nan shows me the voga rowing technique. With one foot planted widely in front of the other I put my whole body into the motion, quickly getting into the rhythm while Nan steers from the back. Soon we’re making a relaxed pace along the quiet canal. Despite feeling wobbly when it’s my turn to steer from the back, I’m thoroughly enjoying the rare treat of these calm waters. This is definitely not the Venice of Piazza San Marco. Time has its own pace here, and it’s agreeably slow. My rowing lesson concluded, we tie up the boat and Nan steers me in the direction of Cantina Azienda Agricola in Rio Tera’ Farsetti. This convivial little bar specialises in cicchetti – tapas-like snacks – which prove seriously addictive. 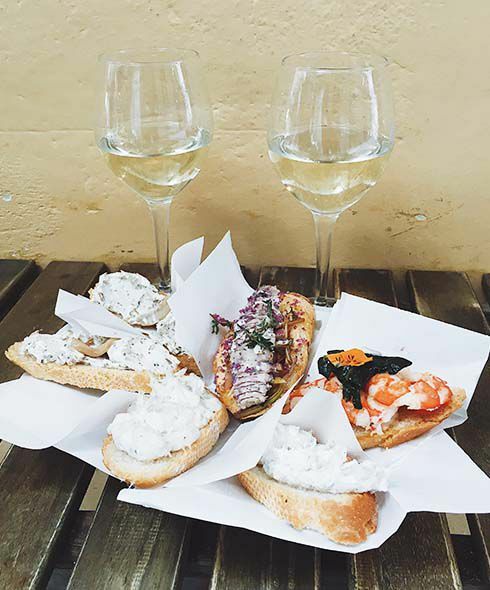 Morsels of creamy salt cod, Parma ham and anchovies are put on crostini and disappear in seconds – along with a refreshing glass of Prosecco and fried everything from tuna to meatballs. 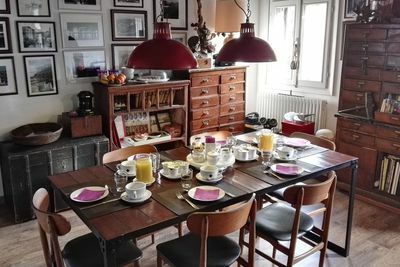 The following morning, I meet Martina from Slow Venice for a watery escape into the heart of another world, the tranquil islands of the Venetian lagoon. This time we head off in a traditional flat-bottomed boat, called a bragozzo. This thing of beauty was the favourite craft of fishermen in the 18th and 19th centuries but now, with skipper Paolo in charge, it takes me away from the tourist hordes. The city of Venice sits roughly in the centre of the huge, naturally-formed lagoon. Islands are scattered all through the 200sqm it covers. 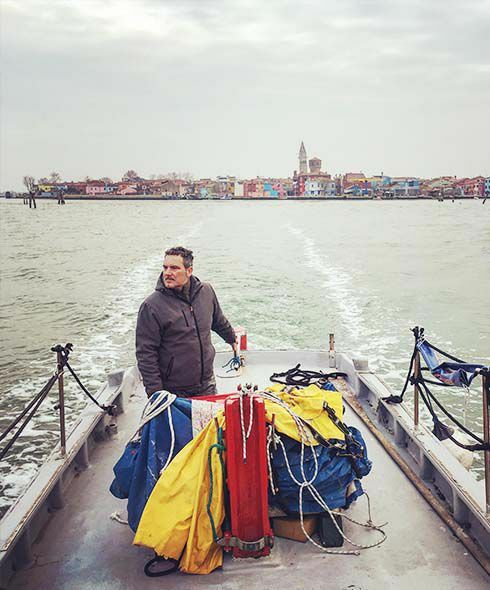 We head to the northern side of Cannaregio, chugging contentedly past the cemetery island of San Michele and then the island of Murano, famed for its glass producers. A narrow channel leads us alongside the greenest part of Venice, the island of Sant’Erasmo, where vineyards and market gardens provide produce for Rialto’s famous food market – especially its prized artichokes. 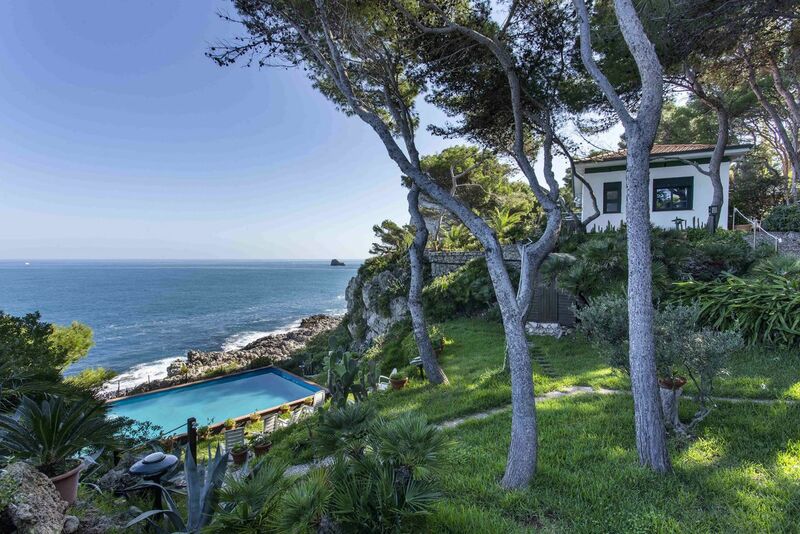 Our first stop is the island of San Francesco del Deserto, where a 13th-century Franciscan monastery and cloisters sit in a wonderfully tranquil spot surrounded by landscaped gardens. From here I can see the island of Burano, which is where we’re headed later, but first we dock in the neighbouring island of Torcello, which in its heyday was more powerful than Venice itself. Now it’s a sleepy place with a population that barely touches double figures. Its seventh-century Byzantine cathedral has some of the Western world’s finest mosaics, and its 11th-century bell tower has superb views across the lagoon. The fishermen’s cottages of Burano are a riot of colour, as if children had been let loose with a giant box of paints. According to local legend, the cottages’ vivid hues were intended as beacons for fishermen lost in the notorious Venetian fog. I look out for the blue façade of Trattoria al Gatto Nero (gattonero.com), which makes one of the most delectable seafood risottos I’ve ever had. I take the chance to savour grilled razor clams and delicate scallops before I hop on my second private boat of the day (and the third of the weekend). This time, joining fisherman Sebastiano into the depths of the lagoon on the hunt for cuttlefish. 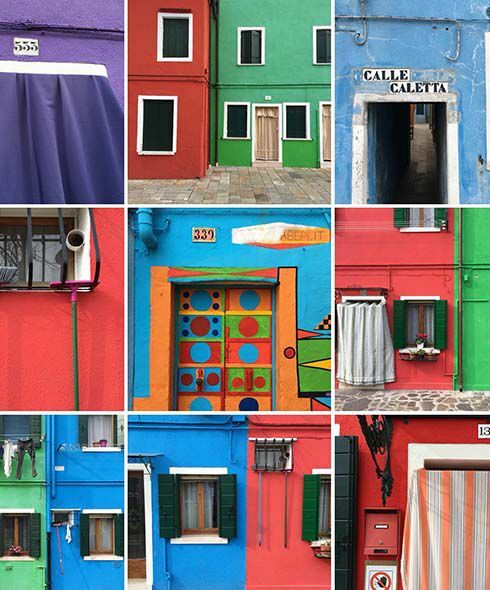 The fishermen’s cottages of Burano are a riot of colour, as if children had been let loose with a giant box of paints. If I thought that Paolo had taken his boat to the back of beyond in this vast lagoon, Sebastiano goes even further. Endless salt marshes and deserted islands add to the overwhelming feeling of wilderness. Unfortunately for Sebastiano, the cuttlefish appear to be in hiding, leaving him with empty nets. I spot a couple of men on a mud flat digging for clams, for all the world looking as if they were sinking into the mud, but evidently having better luck. 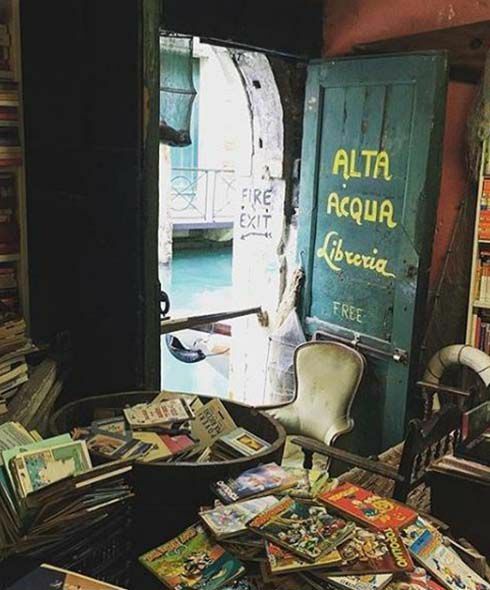 With my boating adventures concluded, a sudden turn in the weather has me duck into the fantastically chaotic interior of the Acqua Alta bookshop in Castello. “Eccentric” doesn’t begin to describe it. Taking a slow ramble through the Accademia I see Venice as it was centuries ago in paintings by the Renaissance artist Bellini and his contemporaries. On the canvases are a voga here and a bragozzo there – the past coming to meet the present in this city of marvels. 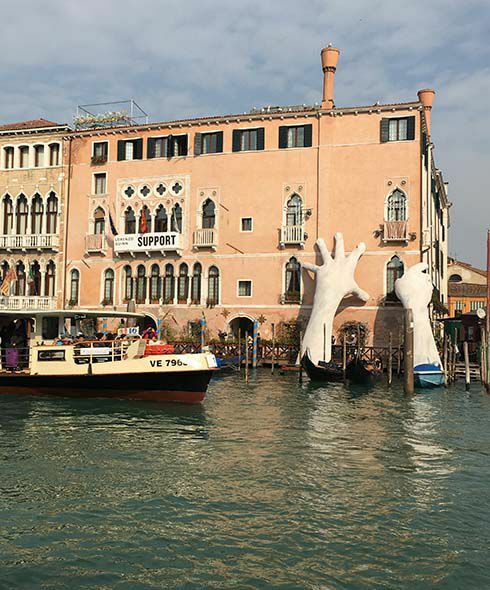 On the canvases are a voga here and a bragozzo there – the past coming to meet the present in this city of marvels.